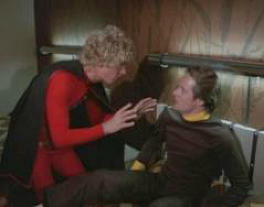 The Greatest American Hero was a light-hearted television series than ran from 1981 until 1983. 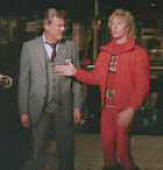 The series starred William Katt as Ralph Hinkley, who was granted special powers when he donned a red super hero suit left to him when we was visited by aliens. 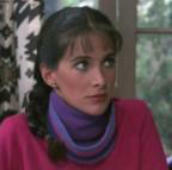 Also starring in the series were Robert Culp as FBI agent Bill Maxwell, and Connie Sellecca as Pam Davidson, a friend of Ralph's and a corporate attorney. Ralph used his special powers to fight crime. They included the ability to fly (although not very well), he could see visions of what happened to someone, and he could make himself invisible. He could pretty much perform whatever super power was necessary at any given time in order to make the story come together and bring the bad guys to justice. In this 1982 episode entitled, It's All Downhill From Here, Norbert plays Yuri Petchernec, the captain of the Czechoslovakian ski team. He is known as one of the finest downhill specialists and is expected to lead the team to an Olympic gold medal. 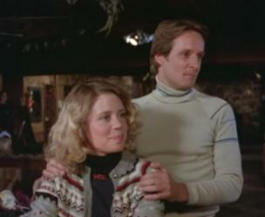 Yuri is seen meeting with the captain of the American team, Scotty Templeton, who secretly trades ski poles with him prior to his run down the slopes. 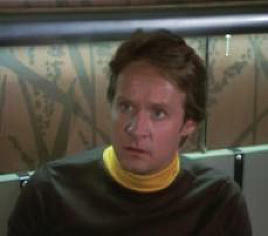 Just as Scotty nears the finish line, a sniper from Czechoslovakia kills him silently with a poison dart. 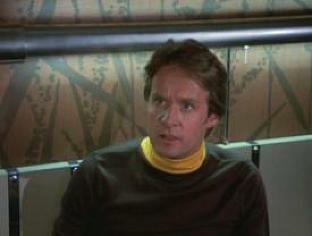 In this scene, Yuri has just had a record setting run down the slopes and is well favored to win the medal for his country. 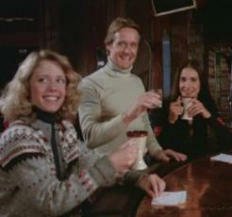 He is celebrating his victory with his fiance, Anna, who is captain of the women's ski team. 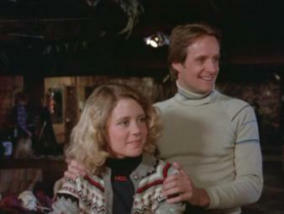 Ralph and Pam are on a ski holiday at Squaw Valley where they can watch the Olympics. Ralph senses that Scotty was murdered, but the local authorities tell him to mind his own business, that Scotty died of a heart attack. 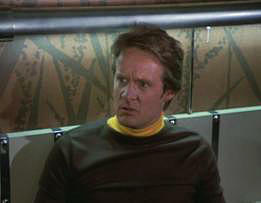 Ralph isn't satisfied and calls Bill Maxwell to come assist him with the crime. 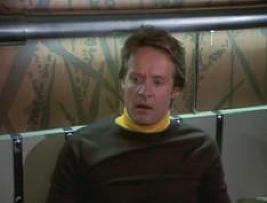 Bill realizes that it's the CIA that is covering Scotty's death. When the agent investigating the death is also murdered, another cover-up is attempted when a senior CIA agent tells Bill that the other agent had a stroke. Bill and Ralph continue to investigate. 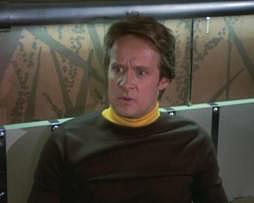 They discover that Scotty was actually an agent, and that Yuri has been passing information to him hidden inside of his ski poles. They know Yuri probably wants to defect. When Ralph goes to Yuri to tell him that they know about the plan and they have a way to get him to safety, Yuri insists that Anna be brought along with him, otherwise she will be killed. It turns out that Ralph has warned Yuri just in time -- the Czech agents are suspicious and come to check on Yuri in his rooom. 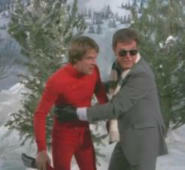 Ralph convinces Yuri to let him switch places with him on a remote area of the course that is out of the view of the television cameras where he will then be taken to a secure location. Pam goes to Anna and brings her to safety. 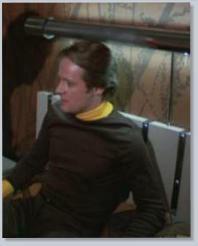 They are tracked by the Czech agents that killed Scotty as part of a political assisination plot. They know something is going on as they have become suspicious of Yuri and have been watching him closely. When they break into where everyone is hiding, Ralph flies in through the window and takes care of them so everyone can escape. The senior CIA agent meets up with everyone as they are celebrating Yuri and Anna's freedom, and informs them that he has a car waiting outside, and that they will be taken to a safe location where they will be granted political asylum. Yuri thanks everyone for saving Anna's life, for rescuing him, and wishes everyone well. 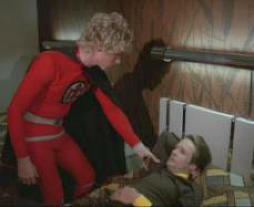 Greatest American Hero is available on Amazon.